Seafoam green has never looked so beautiful! 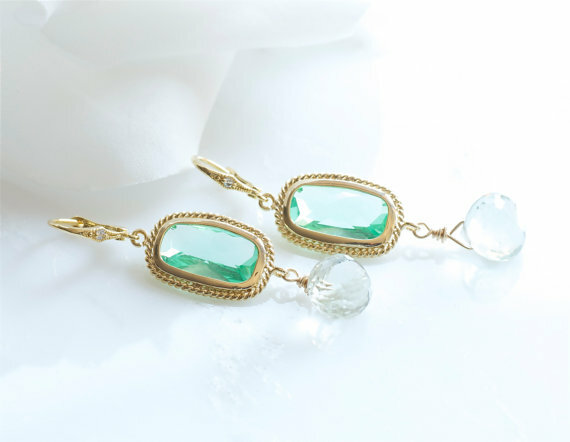 Check out this pair of amethyst seafoam green earrings spotted at Designs by Flory. We love ’em! 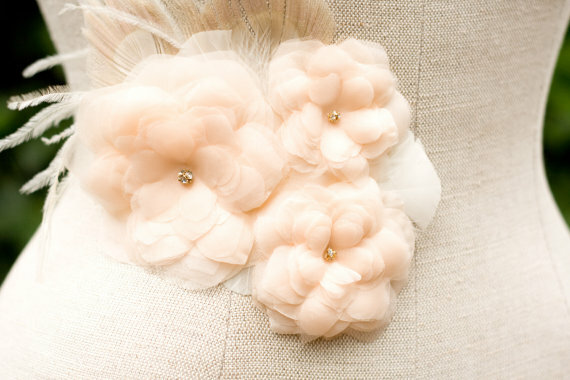 Plus, earrings make a perfect gift for your bridesmaids, too! To check out this pair and others, visit Designs by Flory. We must be feeling especially in the fall mood today (see this fall-inspired feature) because this pumpkin orange bridal flower caught our eye, too! 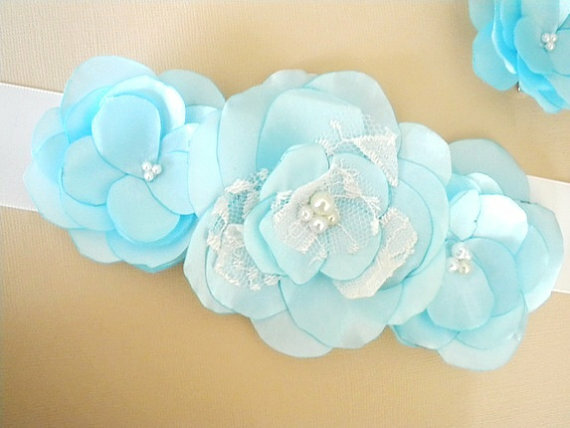 It ties in beautifully with a fall wedding theme and can be worn by the bride or bridesmaids for that extra pop of color. 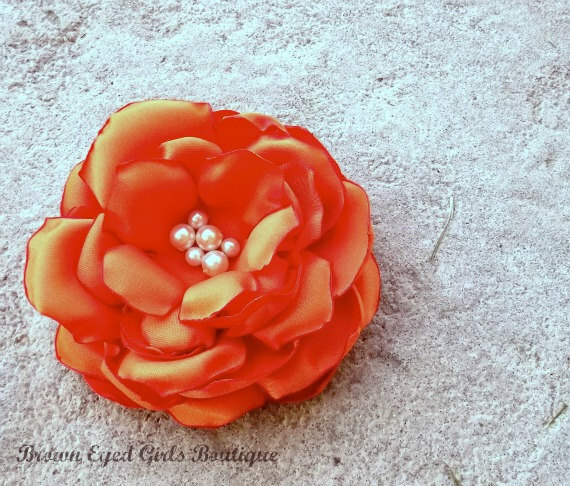 By Brown Eyed Girls Boutique. 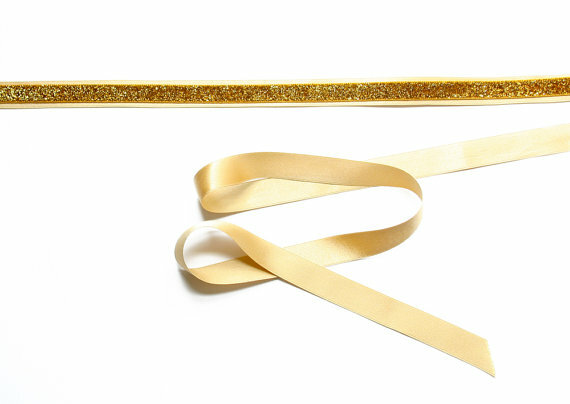 What do you give to the bride-to-be who has everything? 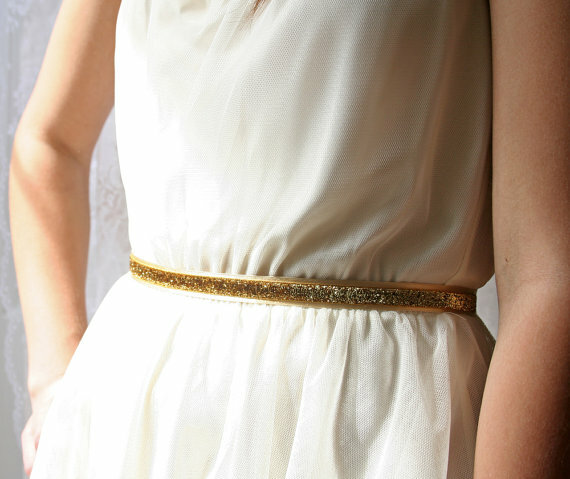 Give her something she’ll enjoy on her wedding day – and beyond! 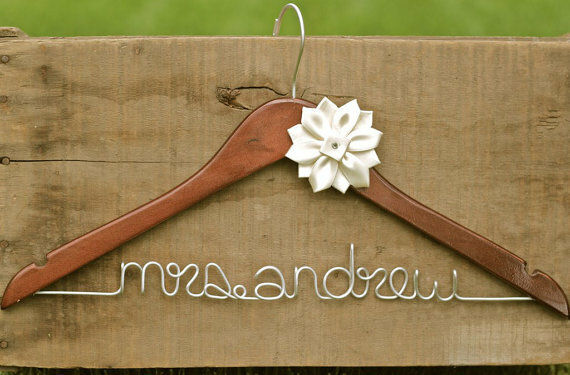 We’re proud to showcase this personalized dress hanger as today’s item in ‘The Daily Find’! This is one of my personal favorites because I ordered one for a cousin a few months back. She loved it! This is one gift that keeps on giving and will be enjoyed in her closet for years to come. On the big day, it serves as a sweet place to hang your wedding dress. 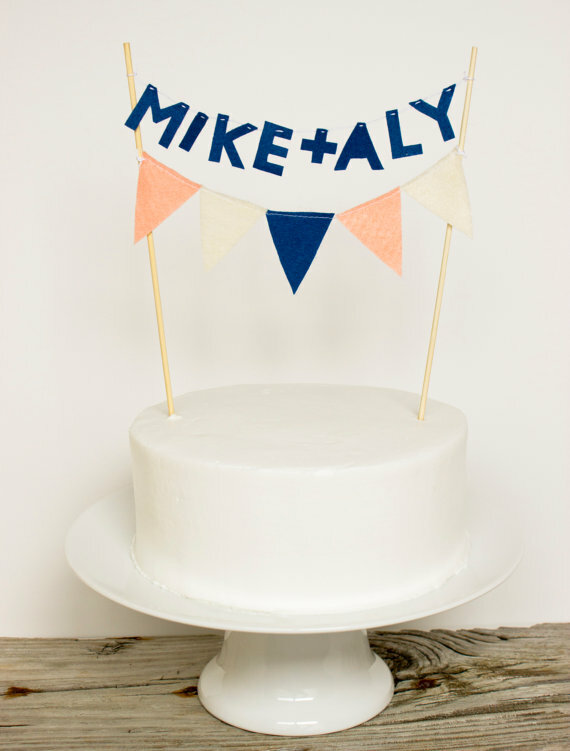 Spotted: an adorable wedding cake topper with names! 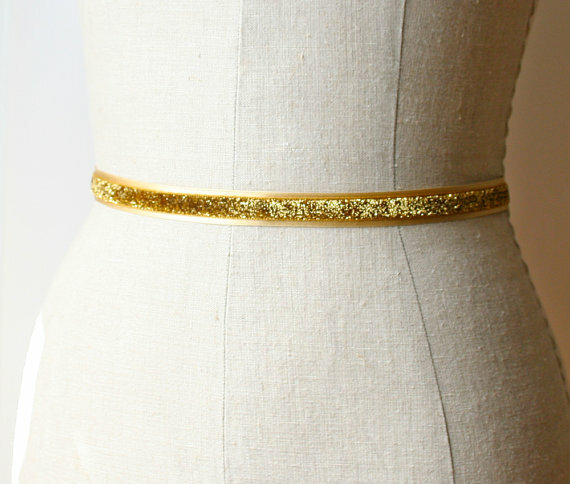 Handmade + personalized just for you by the lovely Steph Loves Ben. 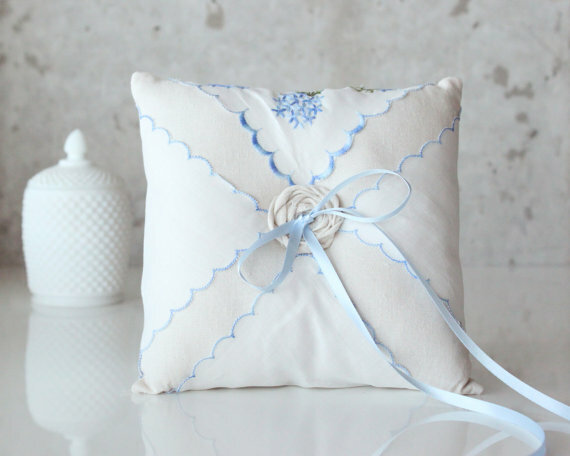 Say goodbye to traditional bridesmaid tote bags: handmade is the way to go! 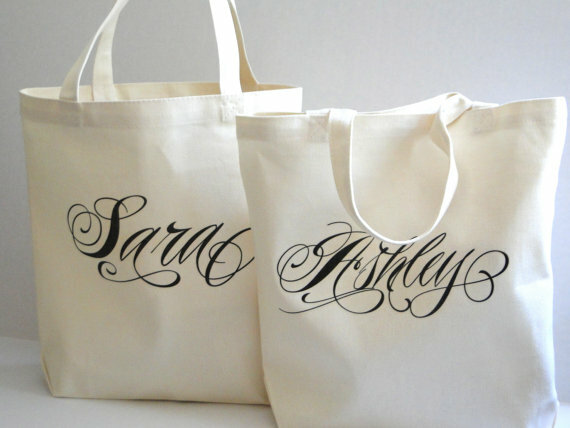 These bridesmaid tote bags are personalized in a pretty cursive font by the lovely Paperflora. 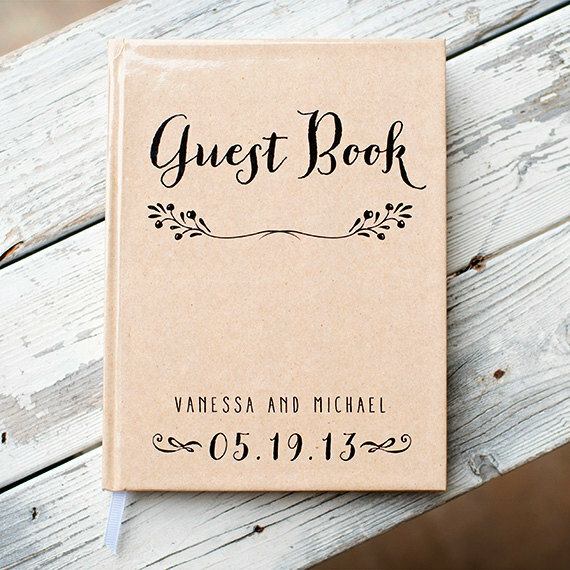 Now, bridesmaids will carry their tote bag even after the wedding day!